sitting alone and pondering over life? "worry not", did i just say that? did i just listen to the sound of the waves? or did i hear the sweet melodies of the birds? where is the sun? where are the little stars? i run... run to find the meaning of it all. 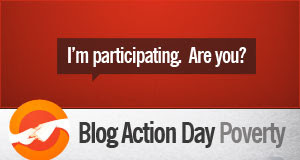 This post is part of Blog Action Day '08 - Poverty.